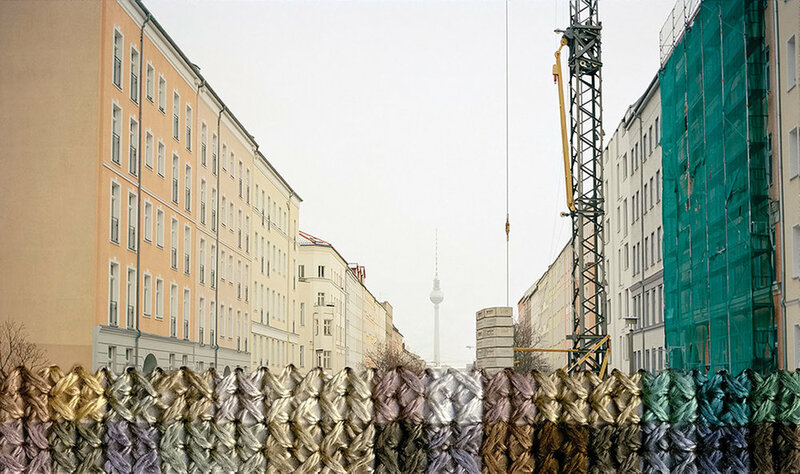 The series Berlin consists of hand embroidered photographs following the entire 104 mile circumference of the Berlin Wall. 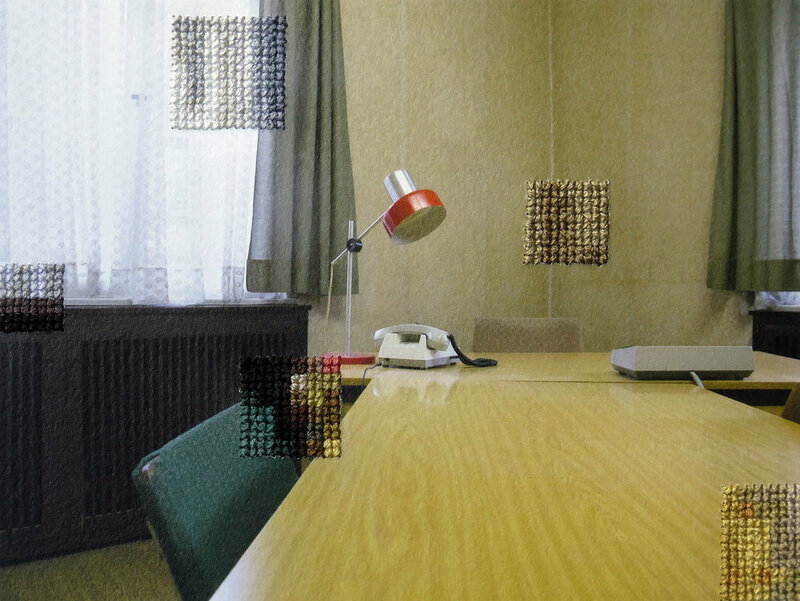 Sections of the image have been obscured by cross-stitch embroidery sewn directly into the photograph. 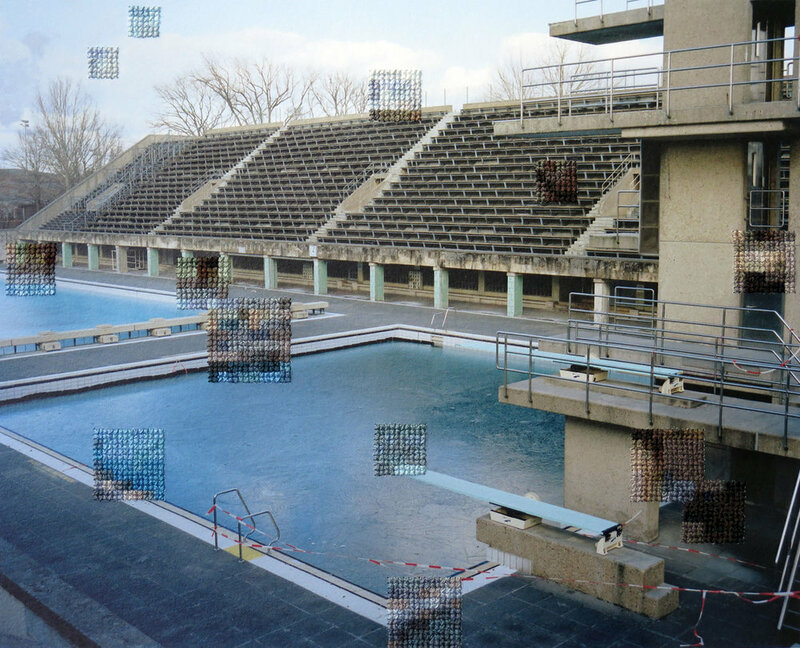 The embroidery is made to resemble pixels and borrows the visual language of digital imaging in an analog, handmade process. The images were taken in the city center as well as in the suburbs, where Meryer followed the former path of the wall through the outskirts of the city. The artist was interested in the psychological weight of these sites and the ways in which past history remains very much in the present. In many of the photographs, the embroidered sections represent the exact scale and location of the former Wall, offering a pixelated view of what lies behind. In this way, the embroidery appears as a translucent trace in the landscape, of something that no longer exists but is a weight on history and memory. Diane Meyer is interested in the porous nature of memory, as well the means by which photography transforms history into nostalgic objects, that obscure objective understandings of the past. Thank you for your interest in the artwork of Diane Meyer. We'll respond to your inquiry as soon as we can.